Need a Website Designer for Your Business? Start here! Yes, getting a website designed can be very stressful for a lot of people. Where to start? Who to contact? What is needed? There are so many web designers out there, but how can I make the right decision finding the right web designer for me? Especially due to the fact that web design includes that tricky subjective element of “design” itself, we understand it is a tougher decision than most. With this in mind, we have created 10 of the best questions to ask when looking for a web designer, which will help you make a much more informed and better decision. With our experience in the web design field, one thing we have realised is that if you can address expectations upfront in these initial stages, you are already halfway there. We cannot stress this enough – we cannot tell you how many new clients we have received who have come to us after losing a lot of money from previous web designers all because they themselves didn’t address these questions upfront. We hope asking these top 10 questions can really help navigate and make your decision a much easier one. Like with anything, spend a little bit more time upfront and you’ll make a much better decision in the long run. Haste is the enemy of any informed decision. 1) What do you want to achieve with your website? First, ask the big question to put everything in perspective. What is the purpose of your website? Why do you need a website? It is one thing to say “I need a website built”, but another thing to actually question the reason why. Obviously the biggest reason is to get new customers. Great, but what else do you want to do with your website? Save time for example? 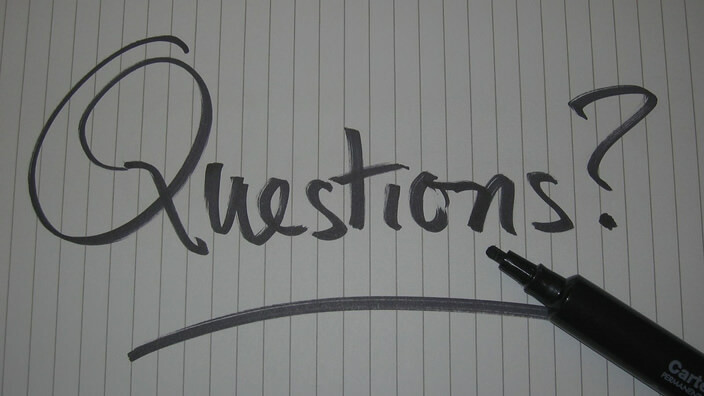 By asking this question, we have saved our clients a lot of time by integrating such functionalities as an FAQ page to save sales time, reservation widgets for restaurants to save operational time, elaborate customer CRM forms for finance companies so they don’t have to manually capture client information, and so on. By asking this question we even have had clients realise “wow, I need an ecommerce website”, as opposed to an informational website and so on. In addition, by asking this question, you’ll see the true capabilities of web designers, as a lot don’t think outside the box and think about integrating these other specific functionalities. Websites can do much more than you think, and so taking a step back and asking what you want to achieve is a critical first step. You have to know what your end goal is. 2) What is the quality of the website designer’s previous work? A pretty good indicator of future performance is past performance. And the beauty of the web design industry is that it is pretty easy to measure past performance – just take a look at their portfolio. In fact, because of this reason, this is probably the most important question to ask. Do you like what they have previously created? If you don’t, move on. And making sure they have an extensive portfolio is essential – the more good examples you can see the better, as web designers will obviously showcase their best work they’re most proud of. One more note of importance – it doesn’t matter if you can’t see web design examples for ‘your industry’, as the same design principles should apply to any business, no matter what the industry is. What’s most important is the design itself and how their business is communicated online. 3) In fact, how good is the web designer’s own website? Quite simple – if you don’t like the web designer’s own website, move on. Obviously everyone cares about their own website, and if you aren’t impressed with their own website, you certainly won’t be impressed with what they will build for you. How well does it communicate? If a web designer’s brand is not communicated well via their website, how well do you think they will communicate your own brand? Needing a web designers own website to be amazing is absolutely crucial. 4) Will the web designer spend time understanding my business? If a web designer doesn’t take the time to understand your business, how can they possibly get the best message across to your current and potential customers? Remember what web design is all about. Conveying your business online – your digital storefront. Hence, designing a website should require a lot of upfront time to getting to know your business. Thoroughly. Getting to understand your target customers, their buying patterns, your competition, how you are different and/or better than your competition, and hence understanding your USP and brand is absolutely crucial. In fact we will be as bold as saying, if a web designer is not passionate about your business, they have no business in building a website for it. Your design, content, functionality needs to be integrated seamlessly with your brand. Most business owners have spent a lot of time building up their business and goodwill – that should be respected and taken very seriously when conveying the brand online. There is a lot of competition online, and only those websites that communicate best through great content and design will stand out. 5) How good is the web designer’s communication? When it comes to web design – great communication is needed. Talking with real people that endeavour to understand your business and guide you along every step along the process is crucial. Measuring communication is pretty easy – do you have good rapport when talking to the team? Are they professional? Do you feel like they understand you and your business? “I need a web designer for my business” should really be reframed to “I need a web designer for my business that communicates extremely well”. Remember most web designers are coders and aren’t necessarily the best at communication. You may have found a brilliant web designer, but if they don’t have great communication skills, they won’t be able to deliver you what you need. Making sure you are talking with real people, preferably that you can put a face to. In addition, their process shouldn’t be stressful, rather clear, easy to understand, convenient and enjoyable. 6) Will the web designer market my website so I’m not left with a website that no one visits? There is no point having a website that no one visits. As mentioned above, one of, if not the main purpose of a website is to get your business found online. You need traffic to your website and get results online or else it is simply gathers digital dust. So it is essential that you make sure the web design agency you use has excellent SEO skills. SEO isn’t easy, and though most claim they can do this, not everyone can do it well. This is definitely a service where people can be taken advantaged of, purely because of their lack of expertise in their field. So make sure to ask your web design agency what their SEO plan entails, how they intend on delivering you traffic and what phrases/keywords you would like to be found for online. 7) Will the web designer build a responsive website? In today’s age, it really should go without saying that every website needs to be mobile friendly. The latest in mobile friendly technology is responsive design, and it is now an absolute must for any new website. In fact Google is now penalising websites that aren’t mobile-friendly. So making sure your web designer creates your website with responsive design is absolutely necessary. 8) Will my domain registration and hosting be reliable? First of all, domain registration should be registered under your name, not the web designer’s. As this is the main proprietary part of your website, it is absolutely crucial that you don’t trust anyone else with the ownership of your domain. Regarding website hosting, (i.e. the server where your website is stored), we have had enough experience in the industry to say that you cannot skimp on good hosting in order to save a few dollars. We cannot tell you how many new clients we have received simply due to losing their website due to unreliable web hosting. In order to save a few dollars they have signed up to a ‘cheap’ hosting company who have managed to crash their server, and in doing so lost their website completely. What do you need to host a website well? A good recommendation, and your web designer should know some good companies to recommend. We personally recommend Media Temple, as they are the most trusted, secure and reliable web-hosting company in the world. 9) Will the web designer train me how to edit my own website? There are several good reasons why you should know how to edit your own website, even for the most basic of changes. Firstly, it will reduce any ongoing web design costs that can be incurred. There are still a lot of ‘deceptive’ web designers out there who will offer to build a website for cheap using their own confusing CMS (content management system), but as they are the only ones who understand their own CMS, they charge through the roof for any ongoing changes. So making sure your web designer uses a generic CMS, with a great network of web support, like WordPress is essential. Secondly, knowing how to edit your own website will give you a sense of control. Especially if you are planning on updating a newsfeed, blogging or creating any other form of content marketing, knowing how to post on your website is absolutely necessary. A lot of web designers don’t like to train their clients how to edit their own website, so they can get recurring income through making ongoing changes, however this completely goes against your best intentions and any form of good communication mentioned above. So making sure that you ask your web designer “I need a website that I can edit myself” and finding out what CMS they use is very important. 10) What is the price of a website? We have saved this question for last. The reason being, this is often mistakenly the first question people ask whilst ignoring all of the other questions above. Price will always be a factor, however we hope you can see that it shouldn’t be the main determining factor when looking for a web designer. With web design, (like anything in life), you generally pay for what you get. Good web design takes time, and that’s what you pay for – time. The cheaper web designers, who charge $500+ for a website, will almost always be more costly in future, through poor design, poor SEO, lack of understanding of your business leading to poor convertibility, and so on. In fact we have written another post about how much you should be paying for a website, which goes into quite a good amount of detail on the topic. We will also mention an important point – beware of any hidden or ongoing costs, and make sure that everything is completely written out in the web designers quote. Value for money is the key and getting a range of quotes is recommended, to which you can easily compare on the basis of price, perceived quality, rapport and so on. There is no harm in asking for a quote – it is free and doesn’t take much time. We understand that choosing a web designer is never an easy task, so we hope this post has led you to make a more informed decision. We hope we have answered your question, “I need a website for my business but I don’t know what to do”. As you can see there are a range of topics to address and making sure that your eventual web design team addresses each of them is absolutely necessary. Do your homework upfront, and you will save yourself time and money in the future. Thanks for your time in reading this and if you want to get in touch with a member from our web design team, please don’t hesitate to give us a call or email.